Meet David Muthengi, popularly known as Holy Dave, a passionate hip-hop artist that can on one hand spit rhymes viciously with the best of them, yet also has a deep inclination for worship music, especially the likes of Michael W. Smith. Holy Dave, a senior Computer Science student at the Daystar University was born in 1984. He spent his formative years in the United States where his passion for music began to develop, influenced by groups such as DC Talk and MC Hammer. His tape collection might have been tossed out by his parents, but this did little to quell his first love, music. After Holy Dave returned to Kenya and at the age of fifteen, his elder brother noticed that he could sing and rap, and decided to sign him up for a performance during a Word of Life camp, usually held during school holidays. The crowd’s response, coupled with the encouragement he got from his brother, made him decide that music was something he was cut out to do. He began to seriously consider, leading him to a collaboration with Word Deep titled “Who can run the game” parting his clouds to a fresh and clear pathway to the public limelight. In 2004, he recorded his first studio single Even Though I Walk. The following year, he released the remix to this track, one of the first crunk gospel singles in Kenya. Holy Dave later collaborated with Bariki, a group of two girls based in NPC Karen, on the song Almighty God. The group is known for the song Jamani Leo Ni Leo. 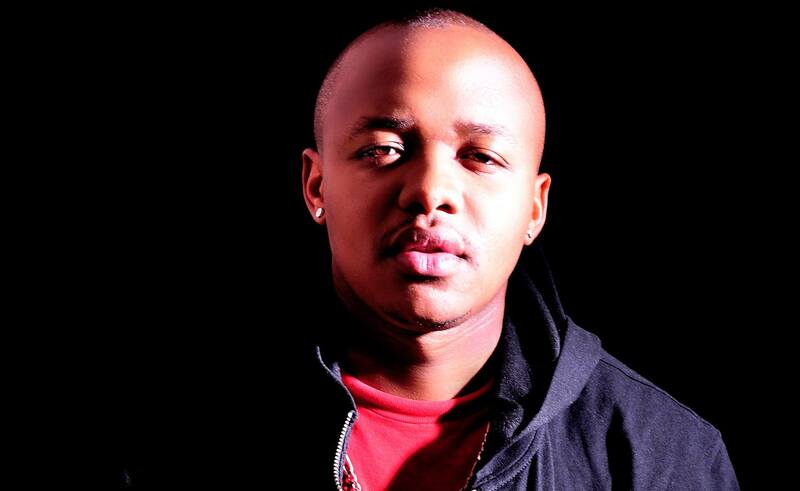 2006 has seen him collaborate with Kisima nominated artist Webi on the song Free, from the album Outside My Window. Yet like many of his contemporaries, Holy Dave’s musical journey has been far from smooth. Initially, his parents were opposed to the idea of their son pursuing music, especially image-poor hip-hop, which in their eyes had a ‘strange culture’ and way of life. His baggy clothes diamond ear ring brought many altercations with his parents. Sometimes when he performed in front of a much older audience, he was forced to remove his earring to avoid receiving awkward gazes and disapproval from conservative individuals. Holy Dave also found it extremely difficult to juggle his studies with his music career and he at times had to strike a difficult compromise to keep going. Having to perform in churches and school concerts meant that the hip-hopper could not make money to push his music pursuits further, and he had to rely on his siblings based in the U.S to support his music endeavors. Holy Dave also found it difficult to deal with his friends who wanted to take advantage of spending time at his house after going for raves, seeing as he was single and living alone. The gospel rapper is currently working on his latest single and plans are also underway to do the video which he says he will release soon. His motto being “If gospel does take me places, I’ll take it places” he plans to collaborate with other hip hop heads (MCs, graffiti artists, dancers and other rappers) to take music to the next level. He also has a background vocalist Silas, a 4th year mathematics major student in Moi University and a back-up rapper holy dave kenyan musician artisteXpo (real name Deno) who also accompanies him to shows and is pursuing a communications degree at Daystar University. He also plans to start free- styling as much as possible to help him hone his lyrical capabilities. He has plans for shows which he promises will be different at the same time exciting. His vision is to ensure he does not get to heaven alone, and as such he uses his gift to enable him achieve this fete. Curious about the moniker Holy Dave? Well, it comes form his deep desire to live a holy life and emulate the Biblical David. He acknowledges that the Lord commands His children to be holy, just as He is holy. Holy Dave attends Parklands Baptist Church and is completely sold out on crunk, gospel and worship. He loves to scratch although he has no plans of becoming a deejay. He currently rents out his sound and disc jockeying equipment to people doing dinners, weddings and small concerts. He admires Juliani, and has featured him in the hit single, It's Not A Joke. Only time will tell what parameters will stand in the way of Holy Dave, an artist who is ready to do all it takes to propel gospel music to soaring heights.